Male High School senior quarterback Dexter Britt recovers a snap that went over his head in the second quarter. 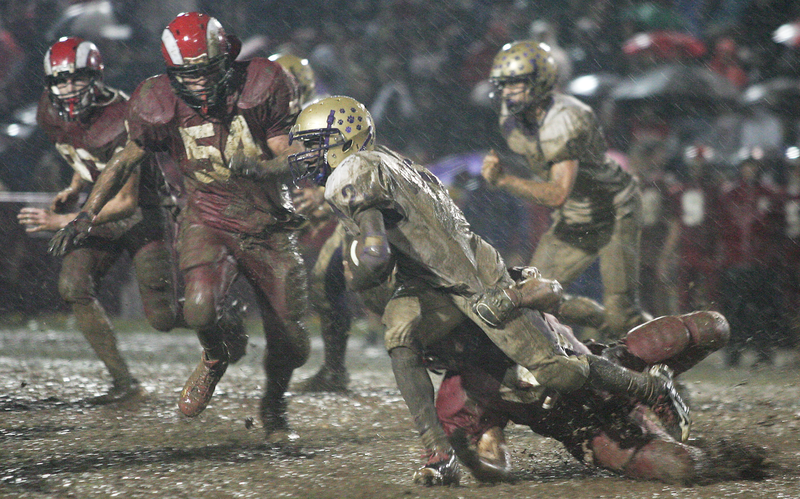 Manual High School senior TJ Gritton wipes the mud out of his face after making a diving tackle in the third quarter. 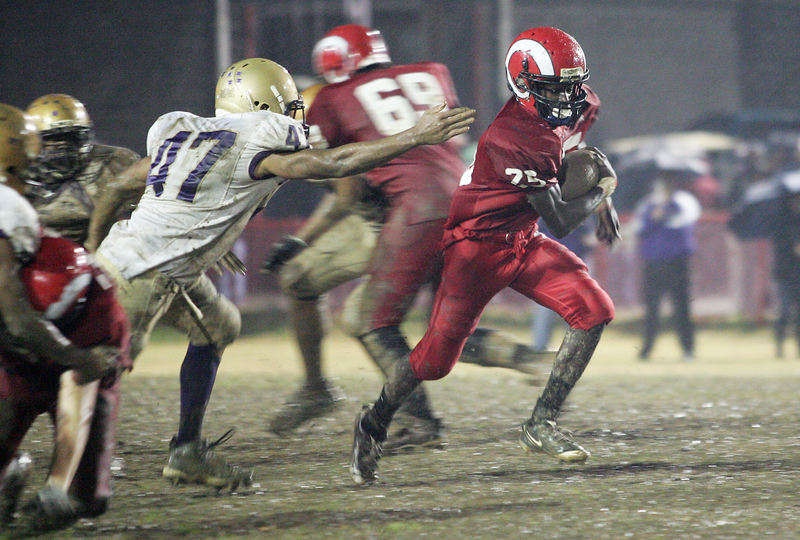 Manual High School sophomore Darnell Gardner avoids tacklers as he runs up the middle during the second half. 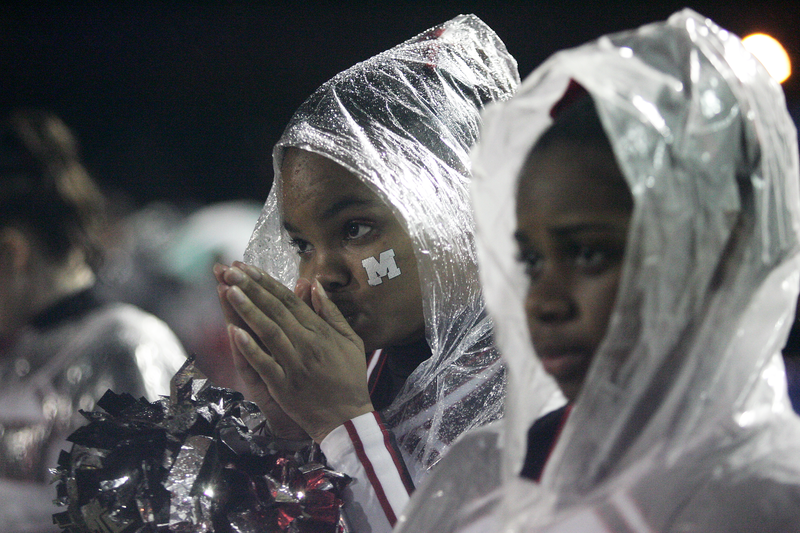 Manual High School junior cheerleaders Brianna Brents, left, and Kierra Crawford watch their team play in the second half. Male High School senior cheerleader Taylor Hatton, right, celebrates a touchdown with her teammates. 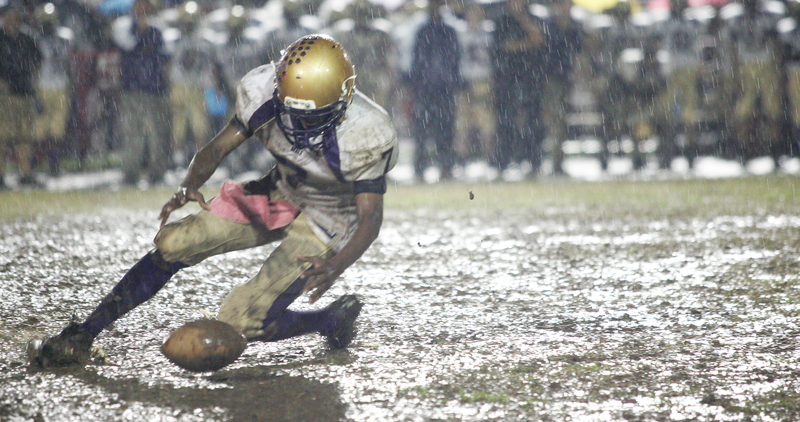 Male High School sophomore Ron Jae Morris carries the ball in the second half. 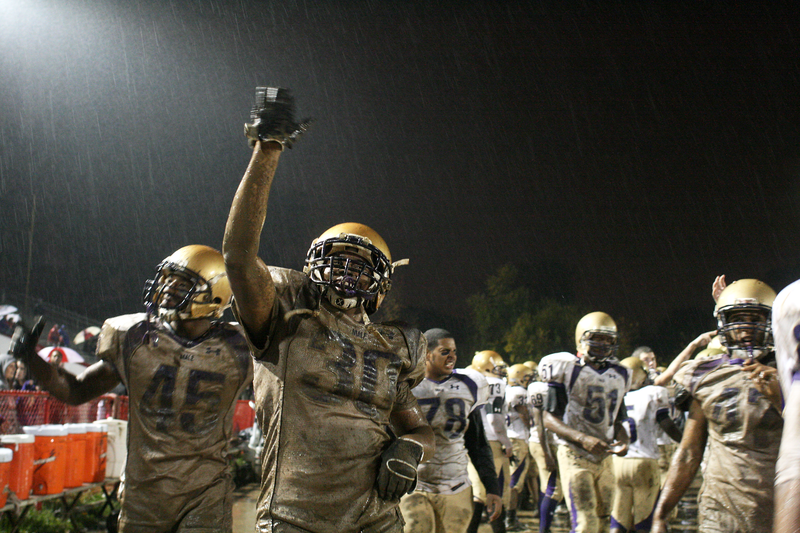 Male High School senior D’Edward Hodge celebrates his team’s victory over rival Manual High School.